The Catholic Bishops Conference has launched a multifaceted initiative in its quest to help the government halt environmental degradation, fight corruption and halt indiscipline. To ensure the effectiveness of the initiative, the conference is teaming up with some state agencies, including the National Commission for Civic Education (NCCE), the Environmental Protection Agency (EPA) and the metropolitan, municipal and district assemblies (MMDAs) to restore sanity on all fronts. Speaking at the launch of the Catholic Church’s fight against corruption, unhealthy environmental practices, among other social vices, the Bishop of the Sekondi Diocese, the Most Rev. John Bonaventure Kwofie, said the church had a role to play in checking corruption and poor environmental issues within society. As part of the launch, flyers on corruption, indiscriminate waste disposal, environmental degradation and bushfires, indiscriminate cutting of trees and open defecation were distributed to sensitise the people to the ills of society. He said for the fight to succeed, there was the need to involve others and urged the state agencies and the assemblies to prepare themselves for the task ahead. The Most Rev Kwofie, who in the recent past led the congregation to clean the Sekondi/Takoradi metropolis, bemoaned the level of indiscipline in society, saying the time had come for the church and other religious bodies to take a firm stance to help fight the canker. That, he said, was the best way to ensure a safe environment and a society free from corruption. Considering where society was heading, he said, the Catholic Church had taken it upon itself to wage a war against corruption and bad environmental practices and urged others to join in that endeavour. An official of the NCCE, Mr Lan Kweku Togbenu, in his presentation, took the congregation through the effects of corruption on the national development agenda. He said corruption perception continued to rise and urged the church to be ambassadors in the fight against the canker. 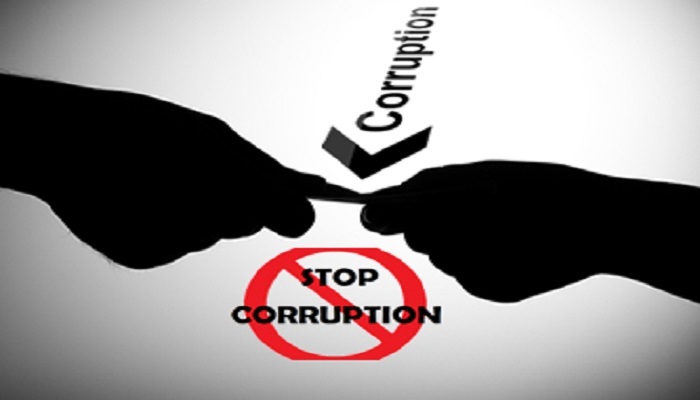 According to him, in a recent study, the majority of respondents said corruption in Ghana was disturbing and extremely high at the policy and corporate levels and the marketplace. He said it was sad that those engaged in corruption in the country were members of churches and other religious groups who did not see anything wrong with their sinful acts. An official of the EPA, Mr Henry Nana Antwi, said indiscriminate waste disposal, deforestation and other bad practices were all instigated by society. As people interacted with nature, he said, “we should be mindful of the consequences when we tamper with nature in the wrong way, avoid indiscriminate disposal of waste and respect the rules of nature”. Mr Antwi prevailed on people to be one another’s keeper and point out one another’s ills in a non-provocative manner, so that others could do the right thing. He also asked society to educate the masses on the implications of galamsey, bushfires, flooding, malaria, cholera, among other things, on the people.